CJ and his friends, called the Angel Kids, have a mystery to solve at Camp Adventure. 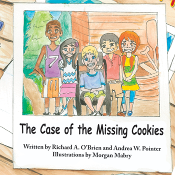 The Angel Kids have special abilities, but they can’t solve the mystery alone. They need help from Billy and Cindy as well as the rest of the campers to solve the disappearance of some special treats. The campers must gather clues and form a plan. It takes great teamwork and some unusual disguises to solve the mystery and bring back the special treats to Camp Adventure. 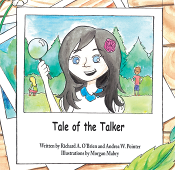 CJ and his friends, called the Angel Kids, have a mystery to solve at Camp Talk-A-Lot. 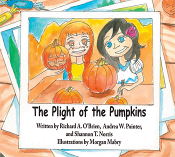 The Angel Kids have special abilities, but they can’t solve the mystery alone or stop the bullying. They need help from Tyler, Cory and Emily as well as the rest of the campers to solve the disappearance of Rosie’s communication device. The campers must gather clues and form a plan to find the talker and help Danny stop bullying his sister. It takes great teamwork and some unusual costumes to solve the mystery at Camp Talk-A-Lot. CJ and his friends, called the Angel Kids, have a mystery to solve at Camp Superstar. The Angel Kids have special abilities, but they can’t solve the mystery alone to find the gold medals. 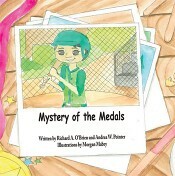 They need help from Meagan, Brad, Julie and the rest of the campers to solve the disappearance of the medals. The campers must gather clues, form a plan and help everyone understand about childhood obesity and showing respect for each other. It takes great teamwork to solve the mystery at Camp Superstar. CJ and his friends, called the Angel Kids, have a mystery to solve at Camp Jaguar. The Angel Kids have special abilities, but they can’t solve the mystery alone to find Henry, the golden retriever, when he runs off. They need help from Tori and Tommy and the rest of the campers to solve the disappearance of the camp’s favorite friend. 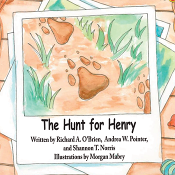 They must form a plan, gather clues, and work together to search for Henry. During this process, they will begin to understand dyslexia while showing respect for each other too. It will take great teamwork to solve the mystery at Camp Jaguar. CJ and his friends, called the Angel Kids, have a mystery to solve at Camp Autumn. The Angel Kids have special abilities, but they can’t solve the mystery alone. They need help from Joey and Eddy as well as the rest of the campers to figure out what’s happening to the camp’s pumpkins. They must form a plan, gather clues, and work together to save the pumpkins for the carving contest. During the process, they will begin to understand autism while showing respect to each other too. It takes great teamwork as well as some unusual disguises to solve the mystery at Camp Autumn. CJ and his friends, called the Angel Kids, have a mystery to solve at Camp Snowball. The Angel Kids have special abilities, but they can’t solve the mystery alone. 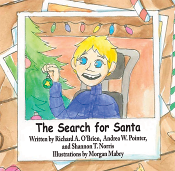 They need help from Jim, Patty, Tony and Susan as well as the rest of the campers to find the missing Santa and save Christmas at Camp Snowball. They must form a plan, gather clues, and work together to return Santa before the big Christmas dinner. During their adventure, they will begin to understand sensory processing issues while showing respect to each other too. It takes teamwork as well as some great detective work to solve the mystery at Camp Snowball.